They have the same sets of customer service apps and those apps have very similar capabilities: case management, knowledge management and community/forum with a self-service web portal and search, social customer service supporting Facebook and Twitter, chat, and telephone/contact center. Case management is the core app and a key strength for all of the products. Each has business rules-based facilities to automate case management tasks. On the other hand, knowledge management and search are pretty basic in all of them. Suppliers’ internal development organizations design, build, and maintain the products. All three suppliers have used acquisitions to extend and improve product capabilities. While the products are similar, the three suppliers are quite different. Salesforce.com, offers Desk.com. Salesforce is a publicly held, San Francisco, CA based, $8 billion corporation founded in 1999. Salesforce has multiple product lines. Freshdesk Inc., offers Freshdesk. It’s a privately held corporation founded in 2010 and based in Chennai, India. Zendesk, Inc. offers Zendesk. This company was founded in 2007 in Denmark and reincorporated in the US in 2009. It’s publicly held and based in San Francisco, CA. Revenues in 2015 were more than $200 million. Case Management is where Freshdesk has its most significant differences, differences from its large set of case management services and facilities, its support for case management teams, its automation of case management tasks, and its easy to learn, easy to use case management tools. For example, Arcade is one of Freshdesk’s facilities for supporting case management teams. Arcade is a collection of these three, optional gamification facilities that sets and tracks goals for agents’ customer service activities. Agents earn Points for resolving Tickets in a fast and timely manner and lose points for being late and for having dissatisfied customers, accumulating points toward reaching six predefined skill levels. Arcade awards bonus points for achieving customer service “Quests” such as forum participation or publishing knowledgebase Solutions. Freshdesk can be a Customer Service Best Fit for many small and mid-sized organizations. Is it a Best Fit for your? Read our Report to understand why and how. We evaluated Nina, the virtual assistant offering from Nuance, for the third time, publishing our Product Evaluation Report on October 29, 2015. This Report covers both Nina Mobile and Nina Web. Briefly, by way of background, Nina Mobile provides virtual assisted-service on mobile devices. Customers ask questions or request actions of Nina Mobile’s virtual assistants questions by speaking or typing them. Nina Mobile’s virtual assistants deliver answers in text. Nina Mobile was introduced in 2012. We estimate that approximately 15 Nina Mobile-based virtual assistants have been deployed in customer accounts. Nina Web provides virtual assisted-service through web browsers on PCs and on mobile devices. Customers ask questions or requests actions of Nina Web’s virtual assistants questions by typing them into text boxes. Nina Web’s virtual assistants deliver answers or perform actions in text and/or in speech. Nina Web was introduced as VirtuOz Intelligent Virtual Agent in 2004. Nuance acquired VirtuOz in 2013. We estimate that approximately 35 Nina Web-based virtual assistants have been deployed in customer accounts. The two products now have common technologies, tools, and a development and deployment platform. That’s a big deal. They had been separate and pretty much independent products, sharing little more than a brand. Nuance’s development team has been busy and productive. Nina also has many new and improved capabilities. Most significant are a new and additional toolset that supports key tasks in initial deployment and ongoing management, PCI (Payment Card Industry) certification, which means that Nina virtual assistants can perform ecommerce tasks for customers, support for additional languages, and packaged integrations with chat applications. We also leveraged our knowledge of Nina, knowledge that we acquired in our research for two previously published Product Evaluation Reports from July 2012 and January 2014. We know the product, the underlying technology, and the supplier. So we were able to focus our research on what was new and improved. Product documentation, the end user/admin manuals for Nina IQ Studio (NIQS) and the new Nuance Experience Studio (NES) toolsets, was they key source for our research. We found the manuals to be well written and reasonably easy to understand. Samples and examples illustrated simple use cases and supported descriptions very well. Showing more complex use cases, especially for customer/virtual assistant dialogs, would have been very helpful. Personalization facilities could be explained more thoroughly. Also, there’s a bit of inconsistency in terminology between the two toolsets and their documentation. Online content of Nina deployments helped our research significantly. Within the report, we showed two examples of businesses that have licensed and deployed Nina Web are up2drive.com, the online auto loan site for BMW Financial Services NA, LLC and the Swedish language site for Swedbank, Sweden’s largest savings bank. The up2drive Assist box accesses the site’s Nina Web virtual assistant. We asked, “How to I qualify for the lowest rate new car rate?” See the Illustration just below. Take care when using virtual assistant deployments for evaluation and selection. They’re only as good as the deploying organization wants to make them. Their limitations are almost never the limitations of the virtual assistant software. Every virtual assistant software product that we’ve evaluated has the facilities to implement and deliver excellent customer service experience. Virtual assistant deployments, like all customer experience deployments, are limited by the deploying organization’s investment in them. The level of investment controls which questions they can answer, which actions they can perform, how well they can deal with vague or ambiguous questions and action requests, and their support for dialogs/conversations, personalization, and transactions. Note that Nuance did not provide us with a product trial/test drive of Nina. In fact, Nuance does not offer Nina trials/test drives to anyone. That’s typical of and common for virtual assistant software. Suppliers want easy and fast self-service trials that lead prospects to license their offerings. Virtual assistant software trials are not any of these things. They’re not designed for self-service deployment either for free or for fee. One more point about Ease of Evaluation. 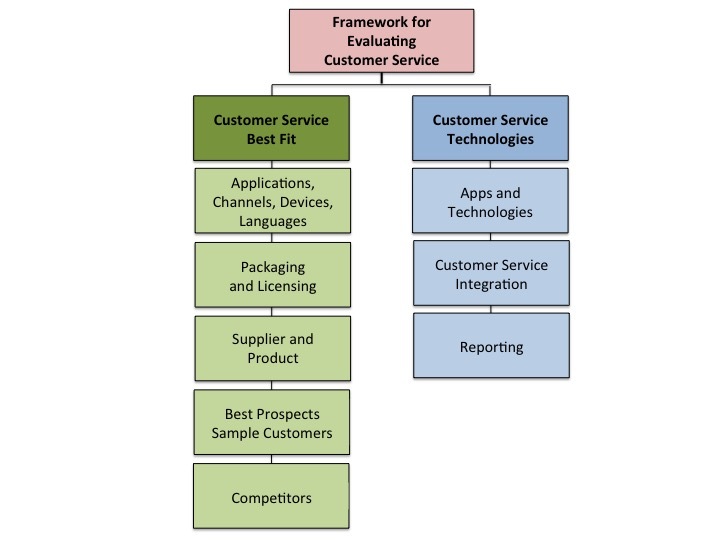 Our research goes into the details of customer service software. We publish in-depth Product Evaluation Reports. We demand a significant commitment from suppliers to support our work. Nuance certainly made that commitment and made Nina Easy to Evaluate for us. We so appreciate Nuance’s support and the time and effort taken by its staff.